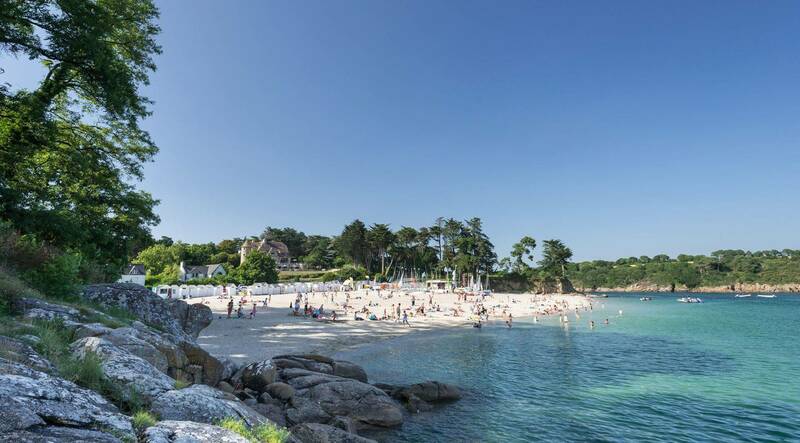 Have you decided to spend your next holiday camping in South Finistère? Then it is likely that Quimper is already at the top of the list of places you plan to visit. This beautiful city of art and history founded in the 5th and 6th centuries is appreciated for its gentle lifestyle and renowned for its rich architectural and cultural heritage. In this ancient medieval city where everything invites you to stroll, it is nice to get lost in the small old districts, on the side of the Place Terre au Duc, the rue Kéréon, the Place au Beurre... Here and there, beautiful 18th century private mansions and venerable half-timbered houses share the facades of the cobbled streets and alleys of the old town. The pedestrian heart of the city is also a very lively shopping district with many shops, businesses and restaurants. In the heart of Quimper stands the Saint-Corentin Cathedral, a jewel of Breton Gothic art and the pride of the Quimper people. Dedicated to Kaourintin, the first bishop of Quimper and one of the seven founding saints of Brittany, the cathedral was built in the 13th century. Inside, we discover a magnificent baroque pulpit made of gilded polychrome wood and magnificent 15th century stained glass windows. As you stroll through the heights of the city centre, you will want to take a break in the Retreat Garden. In general, we arrive a little by chance, so discreet is it. The hurried camper will probably not notice it. Protected from the ramparts, this former monastery garden houses an astonishing collection of plants from America, Chile, South Africa and China. Let Quimper tell you all about it in the city's museums! A stone's throw from the cathedral is the Quimper Museum of Fine Arts. It houses, among other things, rich collections of French, Italian, Flemish and Dutch paintings from the 14th century to the present day. You can also admire some masterpieces by painters from the Pont-Aven school. If you are passionate about Breton culture and popular traditions, head for the old episcopal palace. Today, the site houses the Breton departmental museum dedicated to archaeology, medieval art and the history of Quimper faience. Beautiful discoveries are made here, including a remarkable collection of stained glass windows, silverware and statuary from the medieval period, as well as a rich collection of Breton ceramics from the 18th to the 20th centuries. Several rooms contain very rare and ancient Breton costumes in satin or embroidered velvet, enhanced with silk yarn decorations, decorated with pearls and sequins. Located at the entrance to Quimper in the historic district of Locmaria, Faïencerie Henriot-Quimper was founded in 1690 at the time of the first royal manufactures. It owes its worldwide reputation to its unique creations, shaped and painted by hand: Breton decorative tableware, jewellery and ceramic statues, not to mention the famous first name bowls, the perfect souvenir gift to bring back from its camping holidays in Brittany!